Datalogic has announced that Euro Garages, one of the UK’s largest privately-owned forecourt operators, is the first in the UK to roll out the Heron HD3100 barcode scanners. The Heron linear imager, which was launched earlier this year, brings sophistication and style to the retail point-of-sale and delivers best-in-class scanning technology. The device comes with an autosensing stand that allows for easy transition between handheld and presentation modes. 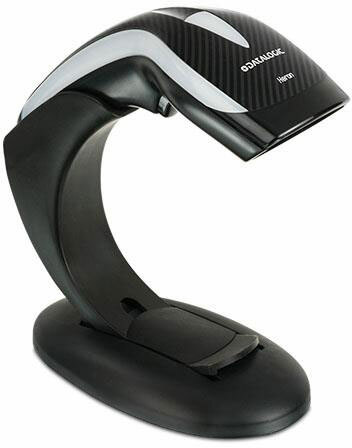 In addition, the Heron HD3130 imager has Datalogic’s patented ‘Green Spot’ technology, providing users with visual confirmation of a good bar code scan. “The Datalogic device offered the functionality we needed in a durable unit that would cope with everyday knocks and bumps that are typical of any point-of-sale area,” continues Bickerstaffe. Once Euro Garages had identified the unit that best fit its requirements, OpalTec worked with the Datalogic technical team to find software that would connect the scanner to the chip and pin device. OpalTec configured each of the 280 units ensuring they were ready to use right out of box. “OpalTec and Datalogic worked hard and fast to ensure that we had a reliable working solution in the quickest time possible. All of the Datalogic Heron scanners are now successfully in place and helping us transact efficiently across all our Esso sites in the UK,” concludes Bickerstaffe.